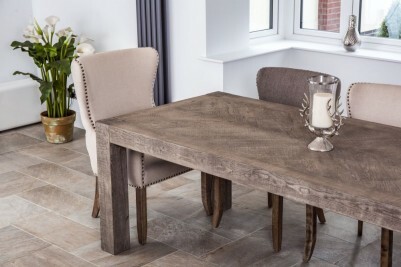 This beautifully crafted rustic oak dining table would be a lovely feature for a range of interiors. 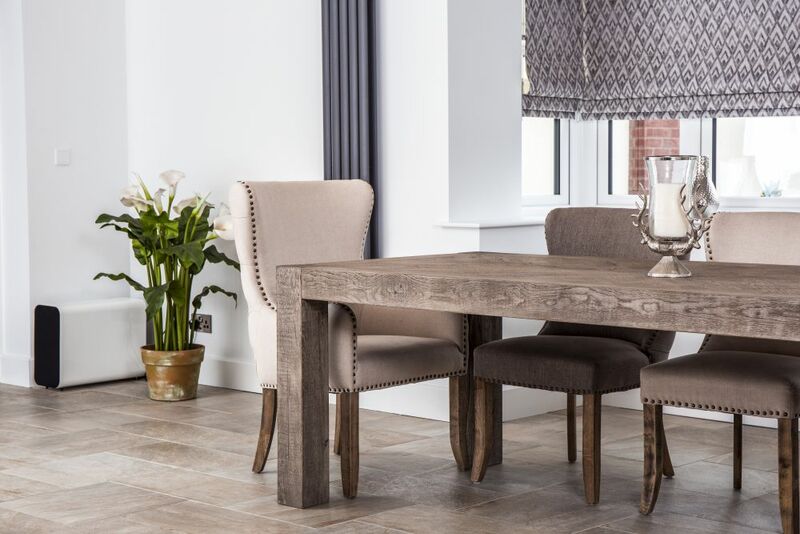 Part of our range of oak tables, this stylish 'Herringbone' dining table is available to purchase in three sizes: 2m, 2.4m or 3m. 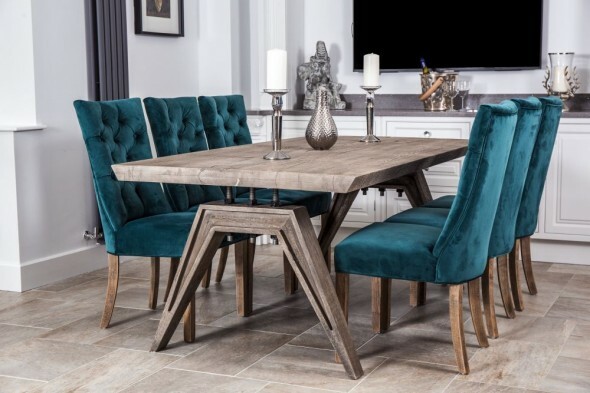 The table is crafted from reclaimed Russian oak; its chunky appearance and distressed finish would make it a great choice for any rustic restaurant, dining room or kitchen interior. 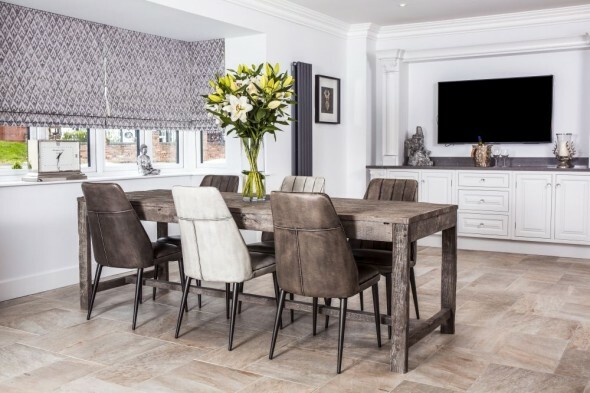 As the 'Herringbone' table is made from reclaimed wood, it will have divots, marks and splits, which are characteristic of reclaimed timber. 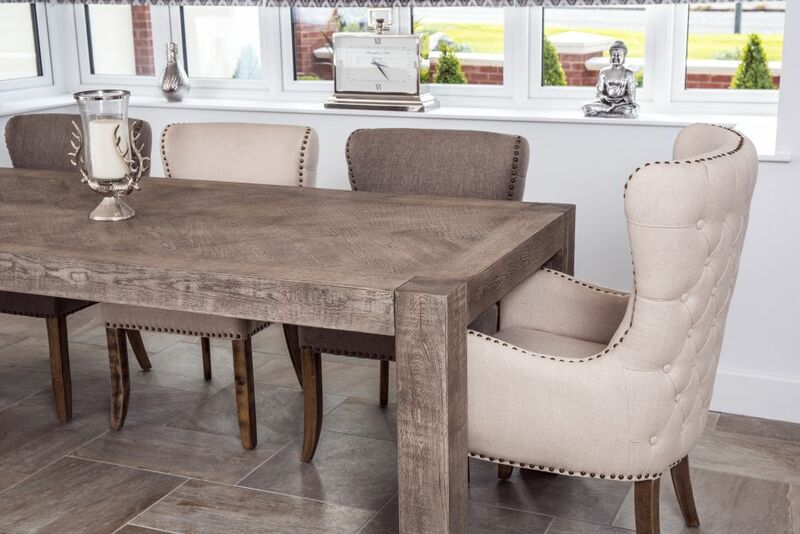 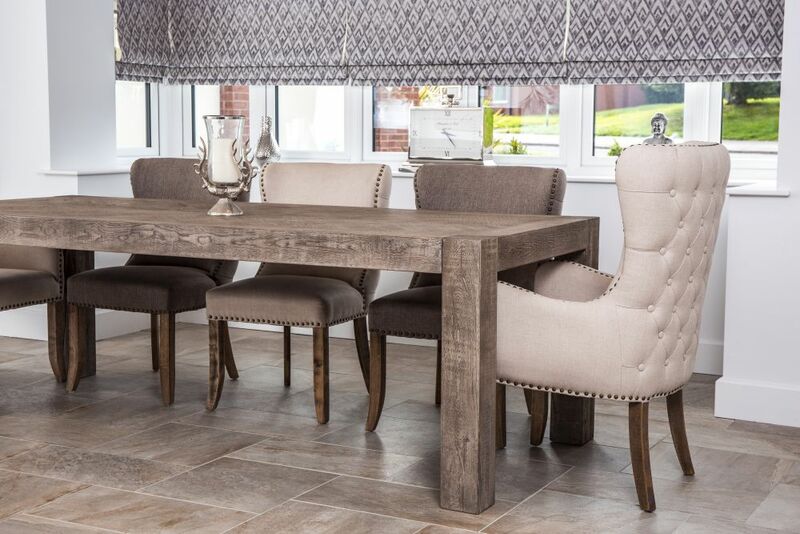 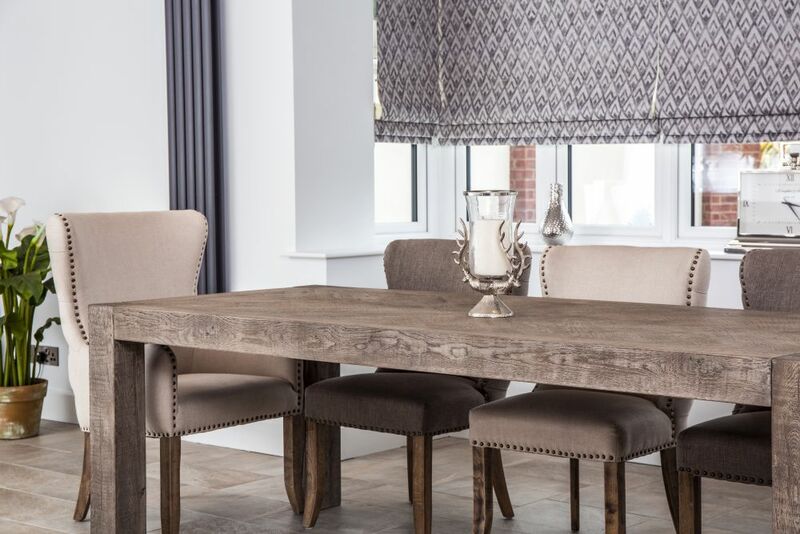 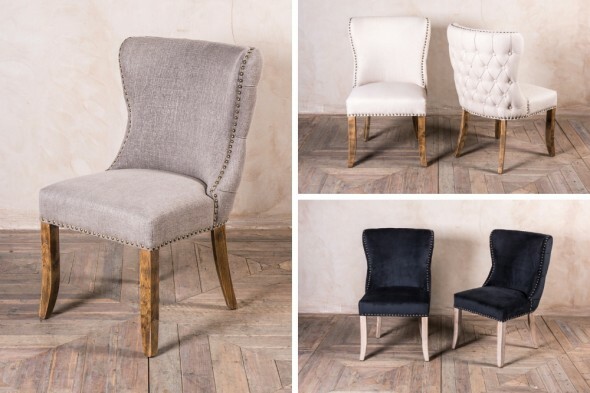 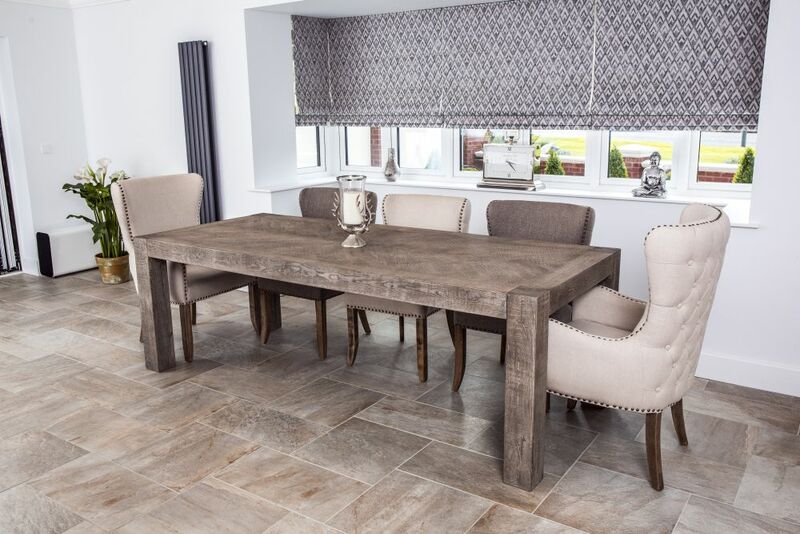 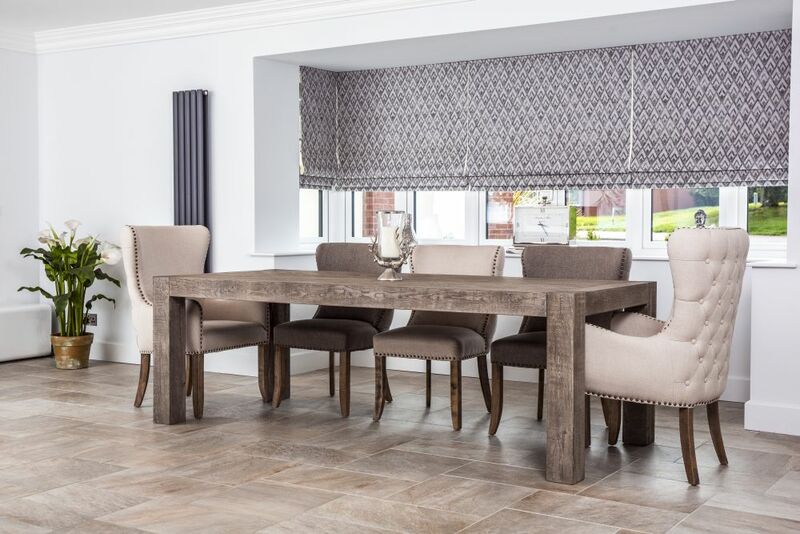 We have an extensive collection of chairs that would complement this rustic oak dining table; here the 'Herringbone' is pictured with our silver grey 'Alice' chairs. 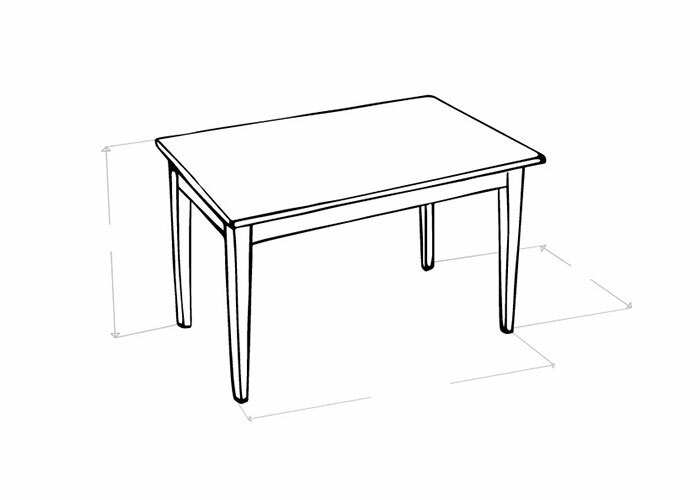 The table pictured is the 2m version and is for illustrative purposes only. 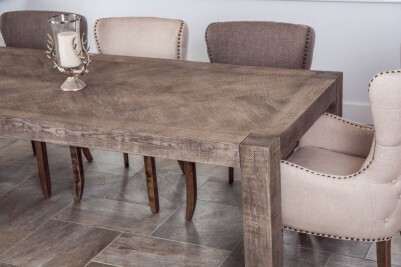 Other items photographed are not included in the price. 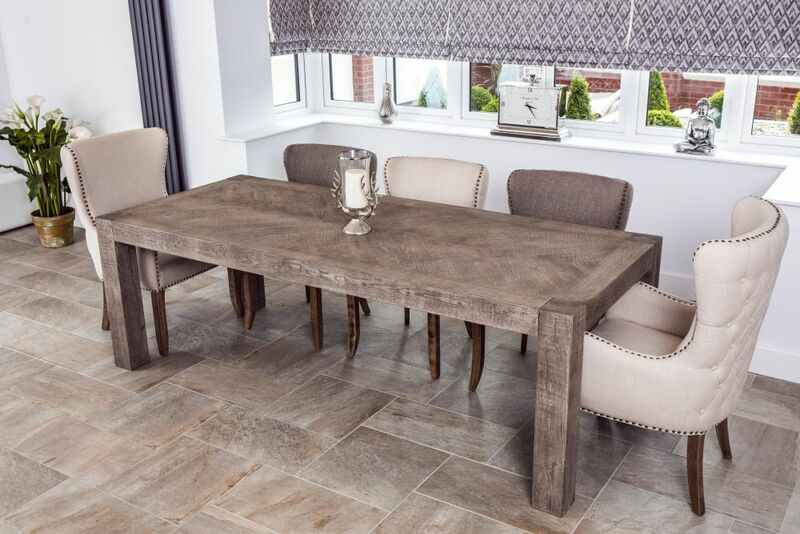 We will not guarantee this table if used with underfloor heating.